iPad mini pre-orders took place on October 26th and a couple days later all pre-orders had sold out. While most iPad mini pre-orders have arrived (including white models), LTE orders were still slated for ‘late November’ as explained by Apple. 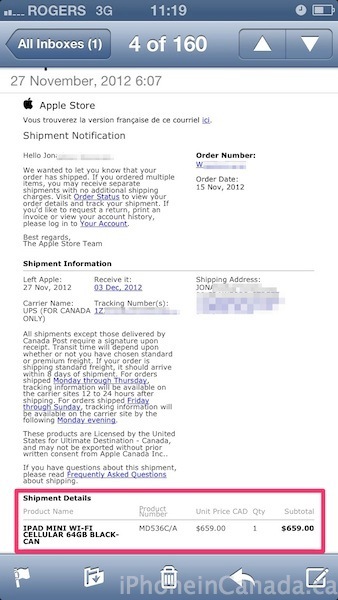 Looks like Apple has geared up for the holiday period, as yesterday iPhone 5 shipping times dropped to one week. Apple Stores do not have cellular models in stock yet, but they are slated to arrive this week. Has your LTE iPad mini shipped? Update: the original in-stock graphic was for the iPad, not iPad mini and the article has been corrected.